I’ve Been Rear-Ended, Now What? Home » Blog » I’ve Been Rear-Ended, Now What? Because driving has evolved to become an essential part of everyday life, people tend to treat the task as a mere inconvenience and fail to appreciate the gravity of the activity. 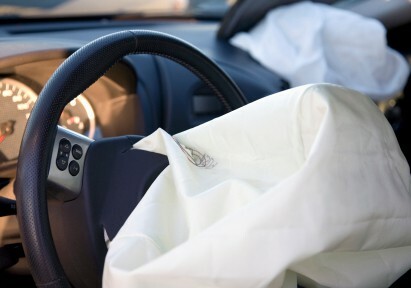 While you may take safety for granted, car accidents do occur on occasion. And when it comes to auto accidents, there are few experiences scarier than coming to a stop and looking in your rear-view mirror to see a car that is not going to stop in time to avoid hitting your car. Rear-end collisions are not only very scary but they can be quite dangerous as well. Even if your adrenaline is pumping and you don’t feel as though you are in intense pain at the time, you should still undergo a medical evaluation to make sure you’re not missing any potential injuries. After you’ve secured medical treatment, you should contact an experienced auto accident attorney. After you’ve been involved in an auto accident, you may feel overwhelmed. This reaction is completely normal; many tasks must be handled, from getting your car repaired to getting medical treatment. Additionally, you may have to contact your employer to explain why you won’t be at work and may have to deal with your insurance company. And while speaking about your case to an attorney may seem like one more difficult task to undertake, doing so will actually take some of the work out of your life. Having an attorney handling matters will help you breathe easier so you don’t have to stress out and can go on living your life. To make the most of having an attorney, you’ll need to speak with your lawyer in an open and honest fashion, providing all of the facts you can. Do not make up facts or attempt to tell your lawyer what you think he’ll want to hear; being candid is crucial for success. To prepare for meeting with your attorney, you should take certain actions after the accident. Be sure to take a picture of the damage to your car and the positioning if the cars if you can. Also, get the license plate number and insurance information of the other driver. You should also ask to get proof of the other driver’s identity, such as a driver’s license, so you can copy that information. If you have been injured in a rear-end collision or another type of car accident, you need a skilled and determined attorney to help you secure compensation. To get insight regarding your potential legal options, contact the Dashner Law Firm today at 972-793-8989.